Why is there a Bt' X section in the gallery and there isn't even a Bt' X wallpaper available? And only two scans? The first ever wall of Bt' X in Minitokyo. Not a cause for celebration but still a pioneering moment as well. The materials are very old so forgive me if the scan is not so good. Teppei's scan was actually from a card and X's was from the OST CD. Sana yung nilagay mo ay yung original pilot ni X.. yung chick! very nice, astig ito pre! beautiful background! trully a pioneering moment and i salute you for that sir admin jakulito. gee very well made. i like the character's expression, such confidence i would like to have. astig! congrats on this moment. astig! he! he! maganda! gawa ka uli!!! he! he! la lang! :D congratulations!!! he! he! yun lang naman! wow bt'x. Ang tagal na ng anime na ito. Nice work! Galing mo talagang gumawa ng walls. Oka for now on mag-aaral na rin ako gumawa. Ano nga palang name ng main character? Now this is something different from those typical wallpapers I always see. (You know what I mean.) What I really like is the glow-like background. Nice. Bt'X!!! It really brings back memories. Nice job JaK, pero ikaw ang salbahe at hindi ang makina! Quote by AkaikenBt'X!!! It really brings back memories. 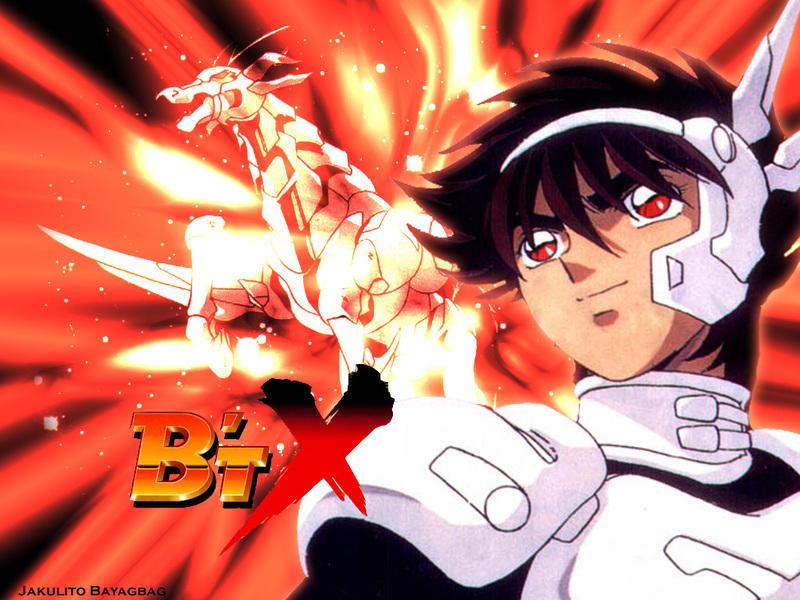 This is the first wallpaper of Bt'X here? Wow!!! The effects is much like of Bt'X and Karen but I think this is the first right?